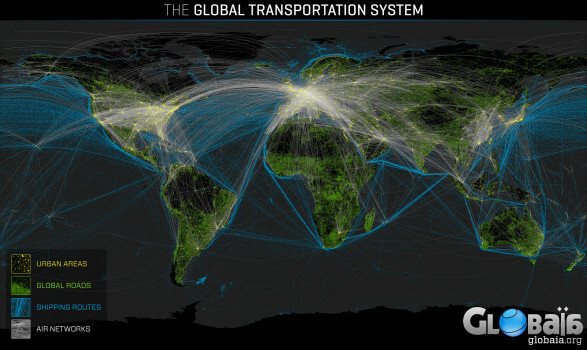 This is a map of the global transportation system. Cities, roads, shipping lanes and airline routes are depicted. It shows how connected or remote are the inhabited places of our planet.